Last week’s 78-6 drubbing of Betfred League One Workington Town in the Coral Challenge Cup was memorable for Liam Sutcliffe’s faultless goal kicking – 13 from as many attempts – and Newman’s four tries. The youngster, who has scored one try for Rhinos in Betfred Super League this year and five in as many appearances on dual-registration with Rovers in the Championship, ran in a first half hat-trick and added another after the break. The first player born this century to play in Betfred Super League, when he made his Leeds debut at Wigan Warriors two years ago, Newman’s achievement enhanced a rapidly growing reputation. “It was a great team performance, but I am very happy with my individual performance,” he said. “I am really pleased. Harry Newman scores his fourth try against Workington Town. The Cup tie was Newman’s seventh senior game for Leeds. Even at 19 he would be a regular in many Super League teams, but Rhinos have Konrad Hurrell – who scored four tries in the previous match at Hull KR and Newman replaced last week –and captain Kallum Watkins ahead of him in the pecking order. Newman insisted he sees that as a positive rather than an obstacle. He said: “Obviously I have got Kallum and Konny in front of me and I am learning a lot from them. The win over Workington was only Rhinos’ third victory this year and put some smiles back on faces after a dismal league campaign so far. I knew I had to perform, I am constantly trying to push myself to get into that starting team in every Super League game. It also allowed coach Dave Furner to rest several key players ahead of the Easter weekend which includes a home game against Huddersfield Giants on Friday and a derby at Wakefield Trinity three days later. “We’ve had a tough start to the season, but I think we are strong as a squad,” Newman said. “We have got a big few weeks coming up now and we can regroup and kick on and really turn the season around. Harry Newman avoids a challenge from Scott Rooke to score his second try against Workington Town. 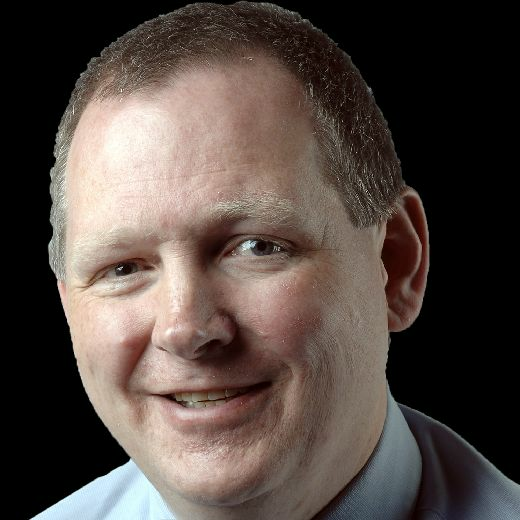 Newman is from Huddersfield and admitted it would be a dream chance if he retains his place. Of his form this year, playing under two flags, Newman reflected: “It has been a good start to the season for me. “I am training hard, working hard and putting in performances on the field. 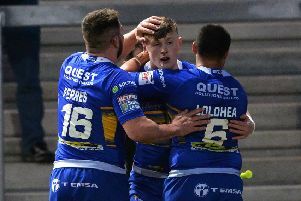 Encouragingly for the club’s future, Newman was one of four teenagers in Leeds’ side three days ago – all of them England academy players and three on debut. Owen Trout holds Scott Rooke. “I thought Owen [Trout], with an 80-minute performance, played absolutely great,” he observed. “Muizz [Mustapha] came on with his strong carries and I thought when Cal [Callum McLelland] came on he controlled the game and finished it off in great style.